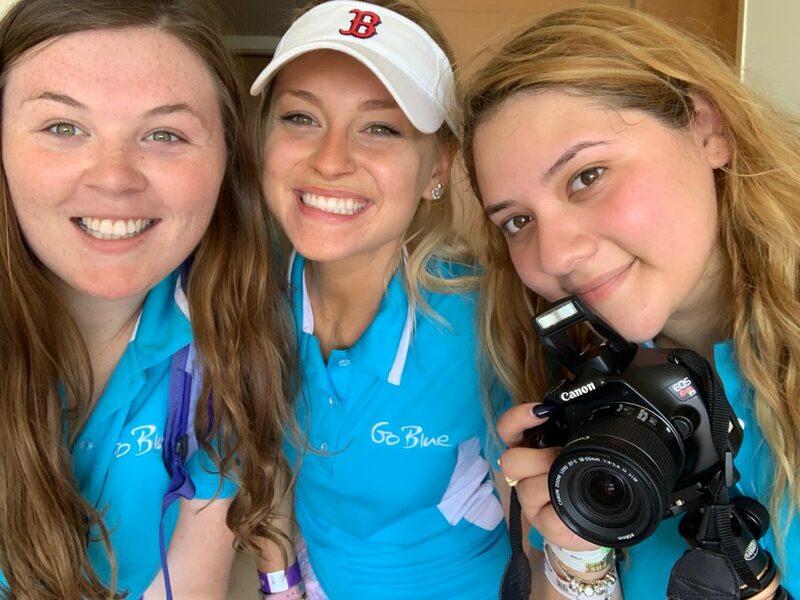 The Go Blue Tours crew went on another trip last week to get to scope out one of our most popular destinations for spring break 2019. We had high expectations since our last trip to Punta Cana, and we were not let down by Cancun! The three of us diligently toured hotels, clubs, and all of the tourist zones every day to make sure we knew everything our spring breakers would be getting to experience here. Take a look at all of our thoughts on our trip south of the border! I love to travel to new places so you can bet I was ecstatic to go to Mexico for the first time. The girls and I got to spend an exhausting yet exciting few days in Cancun last week to tour properties as well as meet hoteliers and club owners to learn about the spring break experience firsthand. 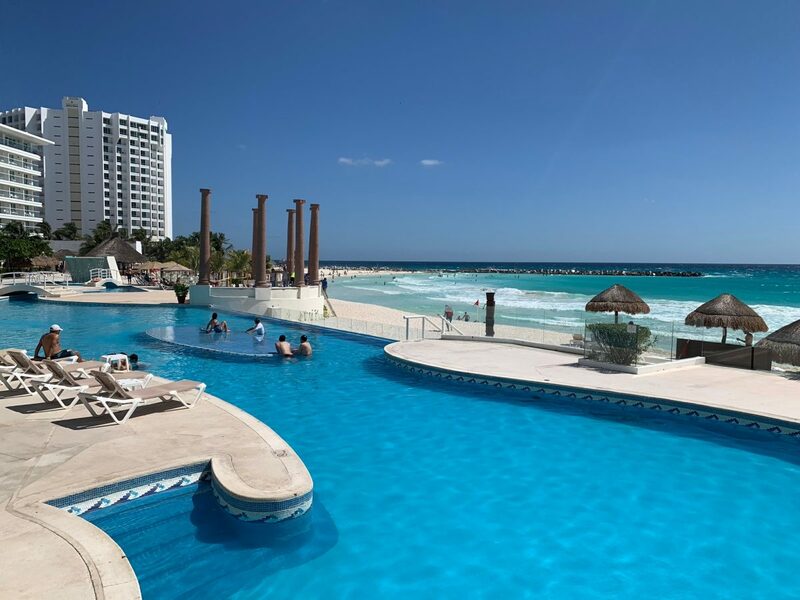 We stayed at the Oasis Lite, a huge resort with many food and drink options, a beachfront, as well as a massive pool that would take me all day to swim across…Mostly because I would be stopping by the swim-ups bars along the way. Anyways, we also got to tour another popular property we sell, the Krystal. We walked in and were immediately in awe over the beautiful ocean view and how clean and fresh smelling this property was. It’s not a huge place but I would have to say it was my favorite. Nonstop partiers might be inclined to go to the Oasis though; To each their own! We also spent a decent amount of time at the clubs. We partied at the Palazzo, Mandala, and La Vaquita the first night, and Senor Frogs and Dady’O the second night. All of the clubs were a good time and the service was excellent. Personally, my favorite was Dady’O as the music was good, and the venue was huge, inclusive of a balcony with a sweet view. During my stay in Cancun, I fell in love with the fast-paced culture and the development of the city of Cancun. Although there is a lot of negative press about Cancun, I wanted to murmur why we will fell in love with Cancun. For starters, the beaches are amazing and probably the most exciting thing to see. I can still imagine my feet in the light warm sand waiting for the clear Caribbean sea to cover my feet. Ahhh, the beaches are to die for and the fact you can have a cold blended Pina colada while sitting under a cabana…… Can you tell what I did during my stay? Mexican people are awesome, their warm hospitality and ability to have you speaking just a little bit of Espanol is hilarious. You quickly find yourself saying “Gracias” and “una cerveza por favor” (Beer please.) Mexican people are incredible. Cancun nightlife is a wild time. The nightclubs will always be packed no matter the season you visit. We made the trip in early November and every club we attended was crowded with people. My favorite club was La Vaquita; It was such a good time. The vibe there was fun and the music was even better. The drinks were HUGE. I requested a Sprite and tequila and the waiter hooked it up. Later that night, we hopped on the local bus to bringus back to the hotels and even that was a party. Our bus driver had the whole bus bumpin’; Everyone on the bus was having a dance party without even knowing each other. The reputation preceding Cancun as the ‘Spring Break Capital of the World’, paints a picture of a tropic oasis comprised of young adults partying into the early morning and taking advantage of every moment of their week-long vacation. I found this to be exactly the case following my trip to Cancun this past month with my fellow Go Blue team members. Cancun provides a fun and safe environment for young-partygoers, and we found it incredibly easy to explore and navigate around the city. The only time we relied on organized transportation was during our trips to and from the airport! I’ve heard of some spring vacation destinations being unsafe to travel independently, but we did not have that experience bouncing from club to club in Cancun. 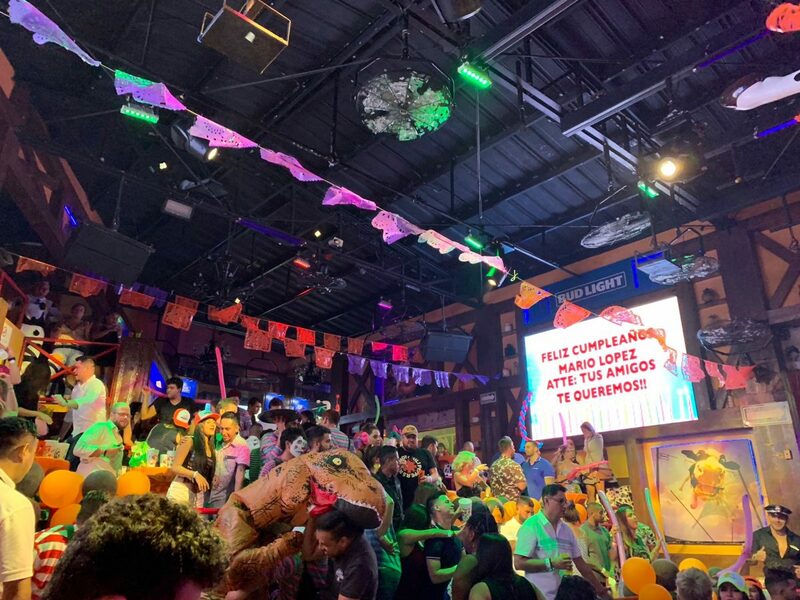 its own unique atmosphere, independent from one another; Senor Frogs was an activity filled and interactive experience, whereas DadyO’s was the typical party scene.